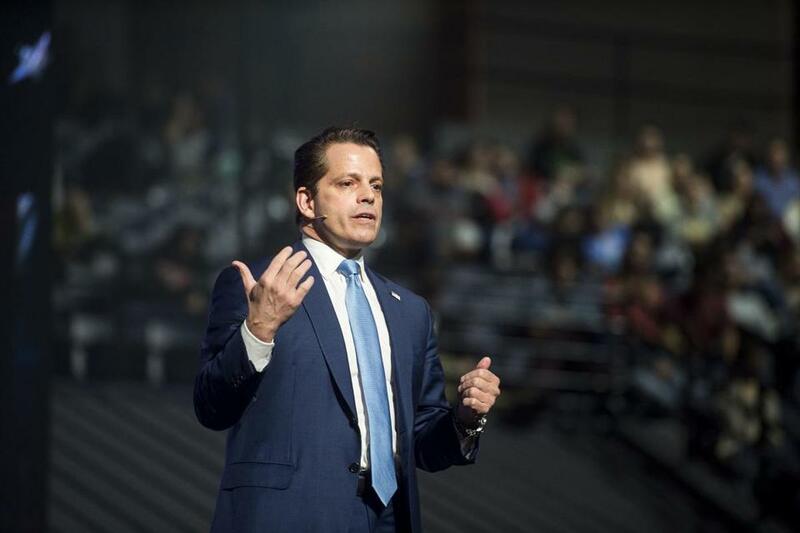 Former White House communications director Anthony Scaramucci at Liberty University’s convocation on Nov. 1. Last month, I wrote three opinion pieces for the Tufts Daily, about my pride in the college, including the Fletcher School of Law and Diplomacy, where I am a graduate student. I called for support of a petition signed by 240 Fletcher students and faculty that demanded he be removed from the board. Beginning that night, I began to receive personal e-mails from Scaramucci — a man I have never met — asking me to contact him and asking me whether or why I was afraid. In his final e-mail, he threatened possible legal action. Three days later, I was surprised to find the Tufts administration had decided to invite Scaramucci to campus Nov. 27 to provide him the opportunity to discuss his, as the administration’s e-mail stated, “experiences in the private and public sectors, and lessons learned.” The event was given top billing, with the Tufts provost as moderator. I did not question the school’s right to invite Scaramucci, but in response to this invitation, I wrote another op-ed calling for students not to attend the event. “There is nothing wrong with inviting individuals and groups to speak on campus,” I wrote, but the only way to stay true to our values and beliefs is to send a “unified message to our administration, that we never asked for a meeting with Scaramucci, we will not be seduced by this clumsy attempt at misdirection and we will not attend this discussion.” There was no response from the administration. Things turned surreal the week of Thanksgiving when Scaramucci’s lawyer sent me and the student newspaper, Tufts Daily, a letter demanding a retraction. We were told to issue a public apology for “defamatory allegations of fact about Mr. Scaramucci,” or legal action would be pursued. They issued a five-day deadline to respond. This was the first time in my life I ever heard from a lawyer, and certainly the first time I had received such a threat. I was concerned, since the little money I have is to go toward finishing my semester. Scaramucci seemed to be winning, and he was set to appear on campus the Monday after Thanksgiving. I felt alone, as if the moral ground I stood on was being swept away by something more powerful. Events seemed to confirm the fears I had voiced in the first op-ed were coming true: the power of money was taking precedence over the power of values. Yet there was a silver lining: the supportive e-mails I had received. And reading again through the names in the petition, I began to feel resolute. On Saturday at noon, two days before Scaramucci’s visit, I contacted the Boston Globe to share my story. The Globe published a story, and on Sunday night everything began to change. That night, Scaramucci’s visit to campus was cancelled. And I was connected to lawyers at the ACLU of Massachusetts who have now responded to Scaramucci’s attorney, explaining that his supposed claims against me are without merit and inconsistent with the First Amendment. 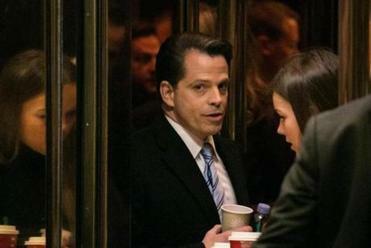 On Nov. 28, Scaramucci announced his resignation from the board of advisers. I felt changed in the blink of an eye. I was no longer a relatively anonymous student, studying hard and enjoying the Boston fall. I had become the latest version of the whose-First-Amendment-rights-can-we chill-today game when it comes to objecting to speech you don’t like: my experience is just one example of increasingly common tactics used by many in positions of power and influence to undermine press and chill freedom of speech. My Tufts campus family has been great, supporting my right to write the opinion pieces and express my concerns about the selection of Scaramucci to serve on the school’s board of advisers. I stand by my critique: the school’s move to include Scaramucci appeared to show a preference for the power of money over the power of values. But there is a dark, unhappy side to the absurdity of this story. What began as an effort to express my opinion, and support a student petition, made me a target. A small story became a media firestorm in today’s hyper-charged political environment. As students, we must stand up for the First Amendment and all of our rights to question actions we disagree with and request change. Protecting free speech means protecting diversity of thought; it’s the foundation of a vibrant democracy and core to civic education. Camilo Caballero is a graduate student at the Fletcher School of Law and Diplomacy at Tufts University.